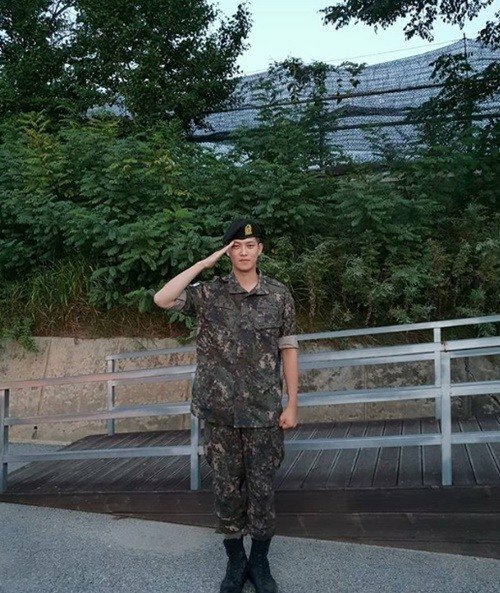 Lee Jong-hyun posted a picture on his Instagram for the first time since he joined the military. He was enlisted on the 7th of August. He is the last of CNBlue to go and no one of the band was there to see him off that day. The picture shows him suited up in a military uniform. "CNBlue's Lee Jong-hyun in Military Uniform"